CovalX wishes to congratulate, Dr. James P. Allison and Dr. Tasuku Honjo, for receiving the 2018 Nobel Prize in Physiology or Medicine for their discovery of cancer therapy by inhibition of negative immune regulation. Dr. James P. Allison and Dr. Tasuku Honjo have been working with the molecules CTLA-4 and PD-1 looking for new cancer treatments. 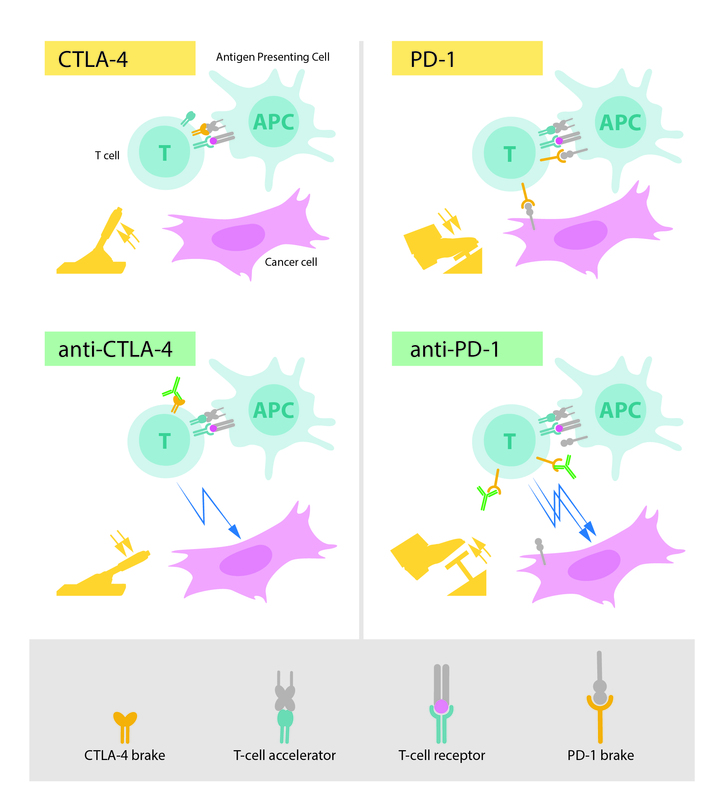 CTLA-4 and PD-1 are known as immune checkpoint inhibitors and the seminal discoveries by the two laureates have added a new pillar for the understanding of cancer.